This charming home is full of unexpected surprises - you will not believe the fantastic updates & spacious floor plan inside! Centrally located for an easy commute around town - just minutes to Lakebottom park, Uptown Columbus, Midtown & the interstate. Built by the current owner w/ custom details like added storage w/ cubbies & built-ins, concrete counters for style & durability & more! Well maintained inside & out - this home is move in ready at an incredible value - the perfect starter home! Main level has a terrific open layout that is perfect for watching the kids play or gathering w/ friends - there is plenty of room for everyone! Prep meals around the HUGE kitchen island w/ bar space overlooking the living rm & dining area! 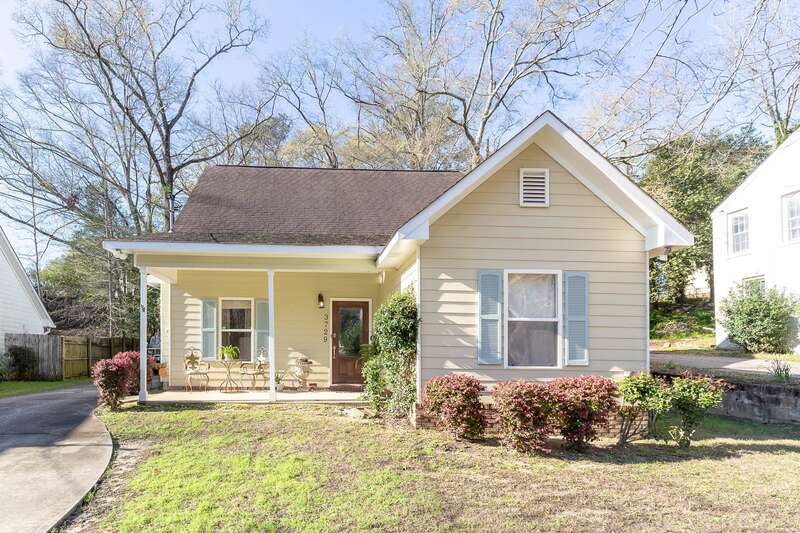 Master on main features ensuite & access to the wrap around back porch & quaint yard. 2 additional bedrooms w/ great storage & full updated bath on main. Upstairs there is a bonus living space, 2 additional bedrooms & bonus rm - truly an unbelievable find!